Okay, this isn't the card I made earlier in the week (adding a few things to it! ), so I shall show you my card I made today using Beate's sketch. 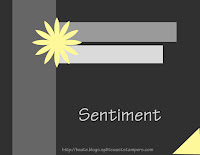 I haven't added a sentiment as I didn't know which one to use so until I am going to send it, I will leave it blank. I might try and sneak in Jen's sketch challenge too (if I can!). Stamps: Polka Dots, Garden Silhouettes. Ink: Versamark, Versafine Onyx Black. Paper: Soft Sky, Blue Bayou, Whisper White, Wintergreen DSP. Accessories: 1/4" Certainly Celery Grosgrain Ribbon. Anyway, I finally got around to Jen's Sketch For You To Try(SFYTT). 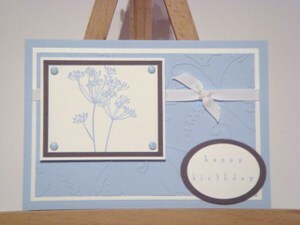 I have used a similar colour combo before on THIS card. I replaced the Rose Red with Real Red. 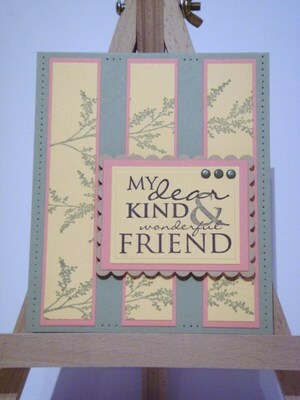 The sentiment is from the Simply Said stamp set. I got this set with my birthday money from hubby and have only opened the packet today! 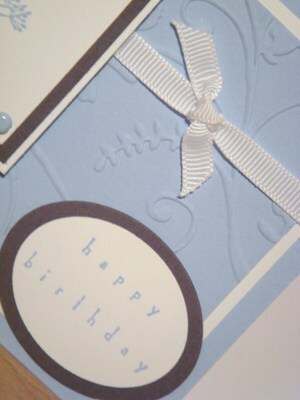 Can you see the sanded background stamp on the Regal Rose cardstock? The next photo will show it better. Yes, you can see the sanded stamp better in this photo. Stamps: SU! - Simply Said, Seeing Spots, Sanded. Ink: SU! - Real Red, Regal Rose, Versamark. Paper: SU! - So Saffron, Whisper White, Real Red, Regal Rose. I made this card using Beate's Weekend Sketch Challenge #49. The card size is 4" x 4" which is small for me but it was fun to do. It is my hubby's birthday tomorrow and believe it or not, I hadn't made him a card. So this one will be it! He is not into 'cards' and when I occasionally show him what I have made, he says "that's nice". Typical bloke! LOL. I also usually get Oliver to make a card as well but....you guessed it....I forgot! Well, I took him to the park to kick the ball around and play on the swings instead! Mmmm, cake! Gosh, I haven't had cake in ages and for someone who loved to eat cakes.....actually, after losing 2st (28lbs), I really don't have the craving anymore, which is probably a good thing! LOL My eating habits have changed so much in the past year (all for the better!!). Anyway, I hope you like my card and I hope hubby does too! Stamps: SU! - Big Bold Birthday. Ink:SU! - Certainly Celery, Old Olive Versamark. Paper: SU! - Blue Bayou, Certainly Celery, Soft Sky, Whisper White. Accessories: 5/8" Certainly Celery Grosgrain Ribbon, Nestabilities (Scallop & Standard Circle), Corner Rounder. I did it !! I resisted for so long but I have now bought a few Bella Stamps and here is one - Stampingbella. I cannot tell you who I made this for just in case they read my blog (not sure if they do). It is a little plain jane for me (I would have preferred a nice DP for the background but I haven't got one to match. I like everything to coordinate. Here is Stampingbella up close. I do need to practise my colouring in. I used my SU! markers but I cannot wait to get the crayons. I have just realised that I haven't coloured in whaterver bella is in holding in her hand. Opps. I will have to do that in a minute. I wanted to do something different with the writing so I coloured over the letters with my water colour brush and my markers. Stamps: SU! 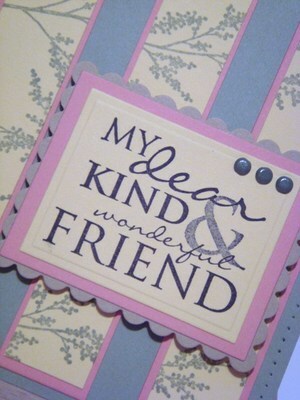 - Wonderful Words, Stampingbella. Ink: Black Stazon, SU! Markers - Brocade Blue, Pretty In Pink, Blush Blossom, Close To Cocoa, Basic Black. Paper: SU! - Brocade Blue, Close to Cocoa, Pixie Pink, Whisper White. Accessories: White Organza Ribbon, Rectangle Nestabilities, White Gel Pen. This is Beate's sketch for this weekend's challenge. 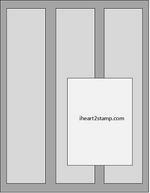 Here is my card. It has taken me nearly all day to complete. This wasn't helped by having a 3 year old under my feet (who is now having a sleep !) and clearing out the spare room for Oliver to use. Then there was the decision of what stamps to use. Anyway, I decided on using Papertrey Ink - Piece Of Cake set. I also used the same Basic Grey paper I used in Jen's sketch challenge and my Nestabilities (where would I be without them ???). Stamps: Papertrey Ink - Piece Of Cake. Ink: SU! - Old Olive, Certainly Celery, Adirondack - Denim. Paper: White, SU! - Night of Navy, Basic Grey - Skate Shoppe, Bazzil Cardstock. Accessories: White Gel Pen, Clear Gems, Circle Nestabilities. I have finally been able to complete at least one of the challenges this weekend. Not because I haven't had time, but I am STILL getting over my illness - boy, this is taking forever. Thanks Kylie for your well wishes. Anyway, here is my card for Jen's Sketch For You To Try. I decided to go through my papers to see what I had stashed away. As I love Basic Grey and I haven't used them in a while, I thought it was about time this paper saw the light of day !! The stamp in from Papertrey Ink - Spiral Bouquet set. 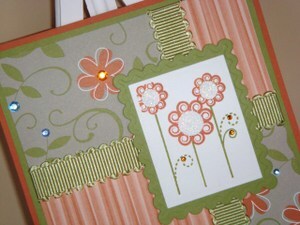 I used my nestabilities and if you look closely, I also embossed the white card with the stamped image. Stamps: Papertrey Ink -Spiral Bouquet. Ink: SU! - Certainly Celery, Old Olive. Paper: Bazzill cardstock, Basic Grey -Skate Shoppe. My ex-boss (Dan) and his wife (Sally) had a baby girl, Alice Marie on Thursday 3rd January. Congratulations guys ! This is the card I have made for them. I do love SU! 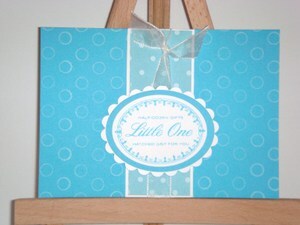 Bundle of Joy stamp set especially for new born cards. I seem to be making girl cards lately and I have two more friends having babies so it might be a good idea to make girl cards first. 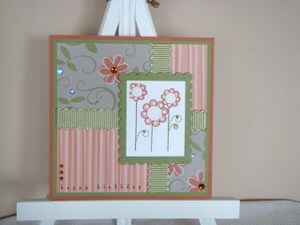 I decided to use this card for the Daring Cardmakers friday challenge 'NEW'. Lynne says: For this weeks dare, I would like our cards to celebrate'New'. So not only New Year, but maybe New Home, New Baby, New Job or maybe a card for someone who is starting a new chapter in their life. Here is a close up of the cute giraffe. The paper is from Bohemia and the letters are Basic Grey. Stamps: SU! - Bundle of Joy, Welcoming Words. Ink: SU! - Pretty in Pink, Pick Passion. Paper: SU! - Pretty in Pink, Pink Passion, White, Bohemia - Blossom Dots. Accessories: Pink Satin Ribbon., Oval Nestabilities, Basic Grey - Gypsy Letters. Gosh it is 12:30am, and I am now posting my card for Jen del Muro's Sketch Challenge. I am really going to try to attempt these challenges this year. As I have been able to use my Bold Butterfly stamps, I really wanted to use my other stamp set Santa gave me - Mixed Bouquet. I must say the card does look better in real life - sorry about the photo. Here is a close up of the glittery rose. I used my stickles in diamond. Stamps: SU! - Mixed Bouquet, Welcoming Words. Ink: SU! - Bashful Blue, Old Olive, Versamark). Paper: SU! - Real Red, Bashful Blue, Chocolate Chip, Old Olive. Accessories: Blue Gems, Diamond Stickles, Blue Organza Ribbon. Wow, my second card for today - I'm on a roll !! This is my very first Sketch Challenge on Beate's blog. I have recently only found her blog and this is her first challenge for a while (she had a short break) and for 2008 so I thought I would have a go. Stamps: SU! - Bold Butterfly, Hero Arts - Happy Everything Greetings. Ink: SU! - Old Olive, Bashful Blue. Paper: White, Red, SU! - Bashful Blue. Accessories: Olive Organza Ribbon, White Gel Pen, Standard & Scalloped Nestabilites dies. I made this card for Oliver for his 3rd Birthday. There will be a theme for his birthday and his card is a big give away. Check out my other blog Kylie for photos of Oliver's party. I have been busy today making more boxes!! Oliver is going to give them to the ladies at his nursery once I fill them with chocolates of course. The yellow one is for Vanessa, the manager for his room as she will be going on maternity leave Christmas Eve. I haven't thought about what to put in the box yet - will go and have a look at the shops. I used Papertry Inks Snowflake Serenade stamps. I used my versamark ink and clear embossing powder. This is the one for Vanessa. The clothes line stamp is SU! Wash Day jumbo wheel. I again used Papertrey Ink Snowflake Serenade along with my nestabilities. Supplies: Stamps: Papertrey Ink (Snowflake Serenade), HOTP (Swirls), SU! (Wash Day Jumbo Wheel). Paper: Bazzill cardstock, SU! Certainly Celery. 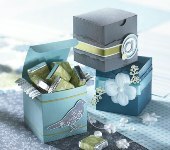 Accessories: Organza Ribbon, Satin Ribbon, Nestabilities (circle). I thought to try the 2-5-7-10 box which you can find the tutorial on SCS. Give it a go - it was easy to do. I got to use my circle nestabilities. How I love them. Supplies: Stamps: SU! (Riveting). Ink: Versamark. 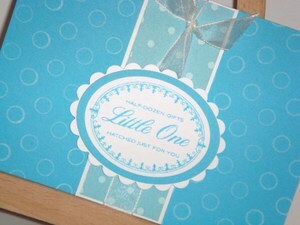 Paper: Bazzill cardstock, SU! (Real Red). Accessories: Clear Embossing powder, SU! Navy Organdy Ribbon. Here is a sneak peak at my Christmas cards. Last year I made about 6 different styles and about 5 of each style. This year I made them all the same. If you look closely enough, you can see the top of the card inside the envelope. Here is another sample. I got the sketch from Amy Westerman (check out her blog). I changed the sketch slightly and only added the sentiment and not the image, mainly because I am on my out the door to my keep fit class and my christmas stamps haven't come out of their box yet. I will grab some when I get home tonight and hopefully post another sample. Supplies: Stamps: Crafter's Companion. Ink: Versafine (Black). Paper: Bazzill cardstock, Basic Grey (Fruitcake). Accessories: Red Organza Ribbon, Rectangle Nestabilities, White Gel Pen. Ignore the eyelet at the top left corner, I was trying something and didn't like it but I cannot take out the eyelet now it has been set. The white border around the 'merry chrismas' sentiment is a white gel pen. I wanted to use my Papertrey Ink Borders & Corners stamp but they weren't big enough - I could have played a bit more but as it was after 11pm, I was too tired. 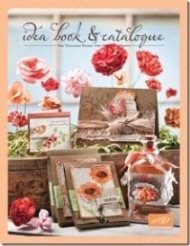 Supplies: Stamps: Crafter's Companion, Stampendous - Perfectly Clear Stamps (Retro Border). Ink: Versafine (Black). Paper: Bazzill cardstock, Basic Grey (Fruitcake). Accessories: Red Organza Ribbon, Red Gem Stones, White Gel Pen, Square Nestabilities. I started on some Christmas cards last night using my nestabilities (first time I have used them). I wanted to create a couple of designs to see which one I like the best and then start on making them up to send out this year.